Let me tell you this: It is DIFFICULT to write a blog post about Christmas joy 6 days post-Christmas. Why? Because I'm pooped from all the work Christmas requires, all the fun is over, I have a gazillion Christmas decorations to take down (plus two trees), I have to return to work on Thursday, and so on. Therefore, harkening back to snowy, Christmas glowy days seems . . . hard. However, I promised a Joy post, so I'll try to deliver. And between you and me? This is gonna double as the how-we-spent-our-Christmas post. One little nugget of joy I tucked away for later writing occurred when I took Charlotte--against all odds--to a regional production of The Nutcracker. 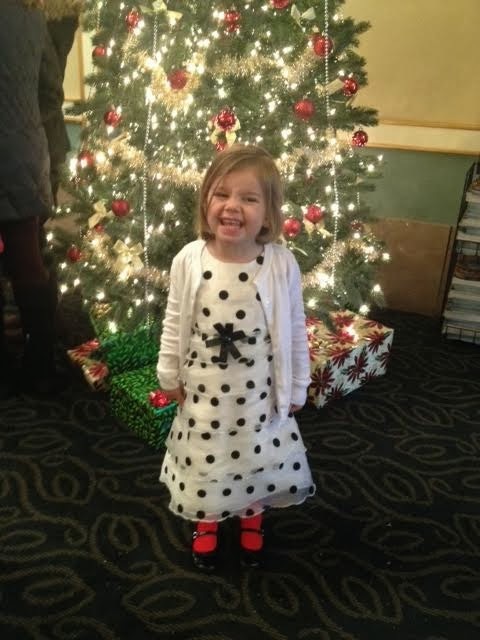 It was extra special, because it was Charlotte's FIRST Nutrcracker, she got wear her Christmas duds, it was snowing, and the girls' beloved babysitter was performing in several roles, including a snowflake and flower. Oh, and we got free parking. Let me take a moment to explain the sacredness of the Nutcracker tradition. Truthfully, Nutcracker is one of my least favorite ballets. Pour quoi? Well, it's overplayed, kind of commercialized, the audiences are always packed with kids (less of a problem when you're bringing a 3-year-old, I've learned), and it's sort of a necessary evil in the dance world because it funds companies so they can create more experimental, daring, or--let's just admit it--less popular ballets. But they're important. The way I see it, The Nutcracker is necessary for creating more (and better) art January through November. Also, I've seen The Nutrcracker so many times, so I'm not going to drop $100+ per ticket to see a world-class ballet company perform the freaking Nutcracker. Except . . . . that I will. (Well, the regional stuff is cheap, so no problem there.) Why would I spend it? Because it's tradition. And in the end, I end up loving The Nutcracker, shaking off my pretensions and seeing it as the holiday staple it is. It's like egg nog. You only like it during Christmastime, because it reminds you of Christmastime. See, I had the very good fortune of growing up in the Seattle area, which has one the best ballet companies in the country, the Pacific Northwest Ballet. As a young girl (and high schooler, if we're being honest), my mom would lie to my elementary/middle/high school about some imaginary family function or illness, she'd take the day off work, and we'd go spend the day in downtown Seattle, seeing the decked-out city, shopping at THE flagship Nordstrom, eating lunch, riding the monorail like a couple of tourists, and having a grand time. We'd close out the day by watching The Nutcracker. (When I got older, we'd even stay in a fancy-pants hotel downtown.) I CANNOT WAIT for a Christmas in Seattle in which I get to replicate this with Charlotte and Lorelei (and Mums, of course). In one of my youngest years that we did this, it was still the glorious 80s (the late 80s), an era of bold primary colors. My mom was a veep at a bank (that no longer exists) at the time, and she had a fantastic closet full of heavily shoulder-padded clothes and pumps. Among her clothing was a royal blue (blue has always been her favorite color) dress coat that I thought was very glamorous. Before Nutcracker night, Mums asked me if I thought if I might want a dress coat. Um, DUH. Did she really have to ask? I pondered. I was a big fan of pink. "What about red? For Christmas?" Mums asked. It was a good idea. But I was more of a pink girl. But REALLY? What I really wanted was a royal blue dress coat just like hers. So, I said I wanted blue. I think that might have been when my mom worked across the street from the old Nordstrom store downtown. Regardless, the next night, when she got home from work, she called me into her blue-carpeted bedroom (no, really) and revealed my new blue dress coat. It was nicely lined and had some subtle black velvet trim. It was VERY fancy. I loved it. I felt very proud and quite grown-up, walking alongside Mums as we entered the Seattle Opera House. Everything just felt so SPECIAL. 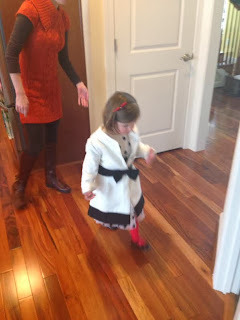 So, obviously, I bought Charlotte a dress coat for her first Nutcracker. 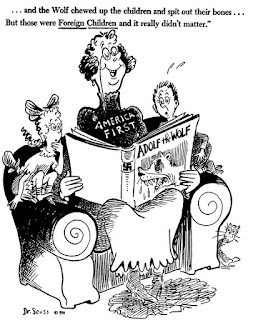 From Nordstrom. I didn't realize until later that it mimicked my own winter white coat. And one of my favorite handbags. Huh. Below was the only (blurry--she moves fast and hates getting her picture taken) shot I got of her in it. And you can't see the giant black buttons on the front, which bothers me more than is rational. In the theater with Charlotte, as the lights dimmed and music started, Charlotte gasped and looked up at me, clasping her hands in giddy anticipation, a grin plastered on her face. Watching her watch The Nutcracker--an entirely new experience for her--was simply awesome. It didn't take her long to move onto my lap, partly because for a better view and partly because she's SUCH a mama's girl. At intermission, I bought her "fancy" juice (fancy because someone poured it into a cup with ice), and she was soooooo sparkly eyed and happy, it just thrilled me to bits to be launching this tradition with her. We had a great time. Joy! The next night, we had our church Christmas party and potluck. Charlotte was beside herself with excitement, because rumor had it that SANTA would make an appearance. Oh, he did, and he brought the missus with him. Charlotte was SO DANG EXCITED, just having a ball. 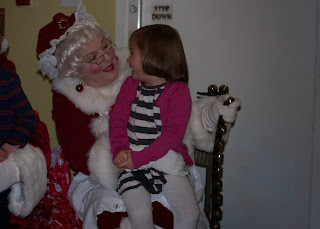 We had to peel her off of Mrs. Claus's lap. Joy! Part of the Santa tradition at the church involves the parents sneaking wrapped gifts into Santa's bag for him to hand out to the kids, and then the kids present him with armfuls of (new, unwrapped) toys to be taken to a local organization that helps those who need help. Santa gave Charlotte her gift, which was a Sofia figurine set. "How did Santa KNOW I love Sofia?!" Charlotte asked in awe. 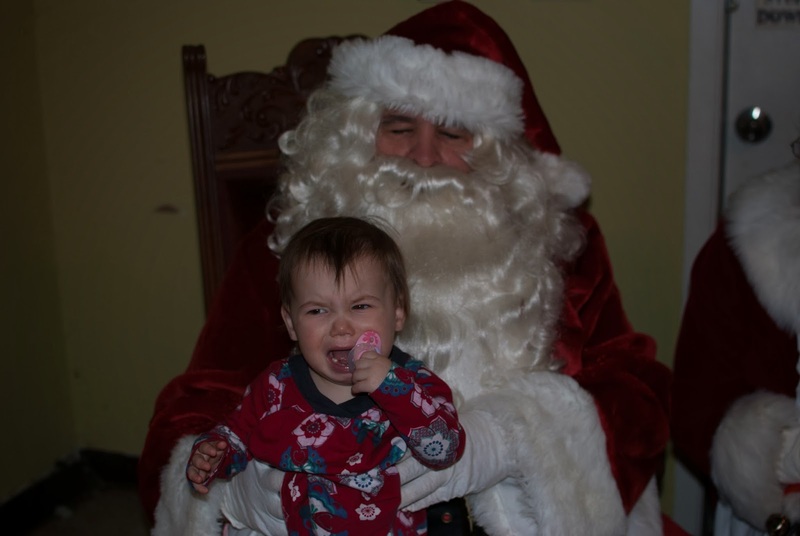 Lorelei, my little stranger-danger child, cared little for the Santa experience. Again, it was so, so fun watching Charlotte have so, so much fun. It continued to the next week, when Santa rode through the neighborhood on top of a fire truck (complete with blaring Christmas music and a bit of an entourage---I just love my town). Joy! And then, on Christmas Eve, she lovingly set out the cookies and milk for the big guy. The next morning, was she anxious to see her gifts? Why, no. She wanted to see if Santa had eaten the cookies. She was blown away that he had come. Chris's parents were here for Christmas--did I mention that? On Christmas Eve, we had our first of two formal dinners. (Excessive? I thought so, too. We have a new plan for next year.) We did the Opp tradition of Chris reading (until Charlotte is old enough) the Christmas story (King James version, y'all) and me playing (until one of the girls learns) the piano (O, Little Town of Bethlehem), and it was appropriately interrupted by Lorelei pounding on the low notes here and there. It was all sweetly flawed, and I loved it. Making her move to interrupt. 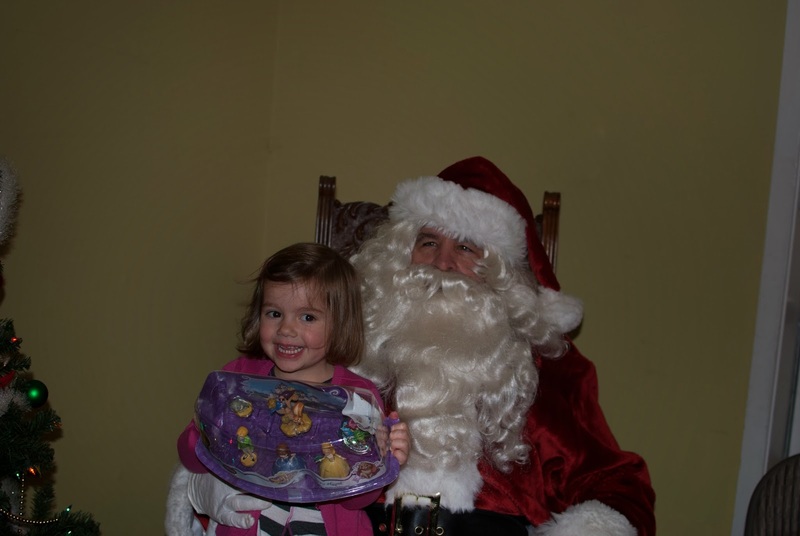 Charlotte was SO excited to watch Grandpa open his gift from her and Lorelei (a photo of them). "He's gonna LOVE it!" she had modestly declared when she helped me pick out which wrapping paper to use. Since she was old enough to open gifts, Charlotte has a habit of putting on the clothing items she opens---immediately. Hence the tutu dress and boots. Christmas morning was fun. And frenzy? It continued. Oh, Charlotte had PINED for this princess activity set from Costco for weeks and weeks. PINED for it. Watching Planes, which they received from Nana. I totally ruined this photo, but I love the expressions on their faces. Speed demon on her new big-girl bike. Being sisterly. And scratching the floor. So, that was Christmas. Peace! Love! Joy! Not to mention family togetherness and quite a bit of work.